The city’s history impacts you quickly when you visit Philadelphia. 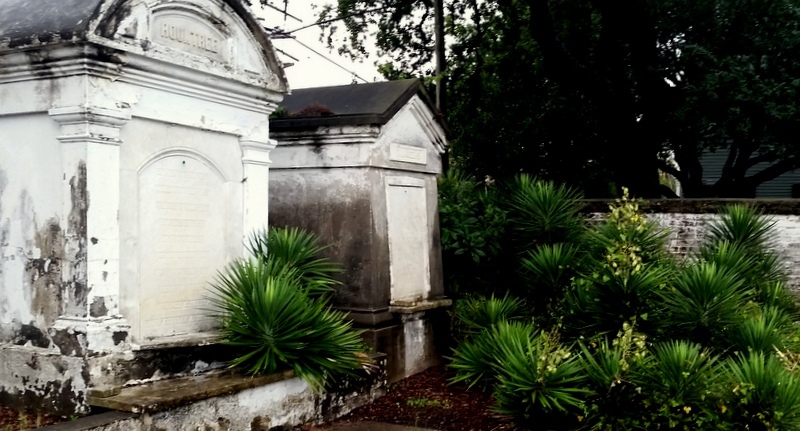 In the center of town you’re close to sites from the American Revolution, museums, dining, and public transportation. Here are several of Philadelphia’s best independent, boutique hotels that draw on the city’s historic roots. Beyond the brick façade and inside the red entry door, you enter a world touched with historical elegance, sumptuous upholstery, and hardwood wainscoting. The rooms are furnished in soothing tones with pops of contemporary color from recent renovation that retained the charm of the past, supplemented with the comforts of today. Only seven stories high, the Alexander Inn has 48 non-smoking rooms and offers elevator access. High-speed Wi-Fi in the rooms and you can walk to Independence Hall and the Museum of Art, as well as the Reading train terminal. Parking is available offsite two blocks away. Rates from $116 a night. Enter a world of understated chic with a club ambience. The marble floored foyer opens to a high, paneled skylight. In the compact rooms the tall ceilings and sleek furnishings will make you feel pampered. The comfortable desk makes using the high-speed Wi-Fi pleasant. The restaurant, Davios, exceeds traditional hotel dining and offers a notable breakfast. Club Quarters in Philadelphia is less than a half-mile from Center City and the Philadelphia Museum of Fine Arts, Chinatown, and several historic streets. Rates start at $89 a night. Artsy décor, designer touches and contemporary textures define the newly renovated Sonesta Hotel Philadelphia. Rooms feature the latest in bathroom amenities, beds and décor. The in-house Art Bar is open from early morning for breakfast through late night dining with cocktails aspiring to liquid art status. The fitness room overlooks the seasonal pool and room keys access the Philadelphia Sports Club across the street. 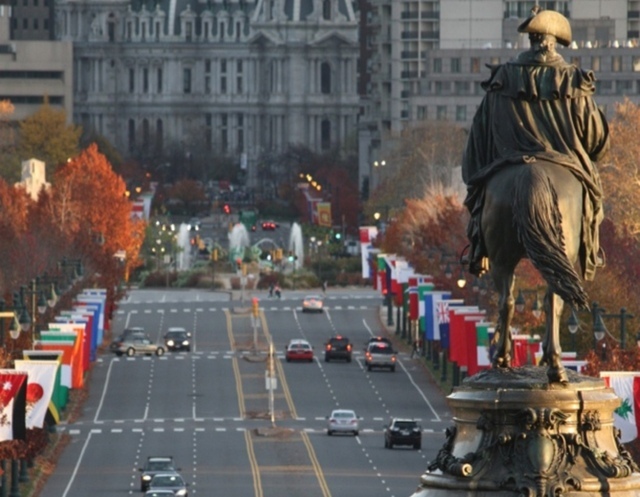 While close to the Convention Center for business travelers and near the Philadelphia Zoo for family groups, you can also satisfy your historical tastes at the Franklin Institute and the Constitution Center. In nearby Rittenhouse Square you can choose from upscale, downscale, and everything-in-between restaurants. Rates from $153 a night. Built in 1907, the Latham Hotel is highlighted with Gilded Age touches and modern elegance. The compact lobby has swirls of gray and blue in its paisley print carpet and luxuriously upholstered seating overseen by movie star portraits. The historical façade reaches up from the street with stone and bronze features. The staff will arrange complimentary car service within 2 miles, an Uber driver or cab. Watch the world pass by from window tables in the acclaimed Urban Enoteca restaurant and bar. Rooms feature complimentary bottled water and have hardwood, chrome and mirrored touches throughout. The Latham is conveniently located next to Rittenhouse Square, which is full of shopping and dining choices. Rates start at $250 a night. The lobby inside The Independent Hotel reaches several stories high, with windows showcasing colorful artwork and revealing wooden beams. It’s a boutique hotel with historical charm echoed in updated Colonial furnishings. Known for caring service, the staff oversees this 24-room hotel with pride. The large rooms feature plush bedding, refrigerators, Keurig coffee makers and microwave ovens. In this central location, navigating the city is simple, with Walnut Locust Station a few minutes way and airport access by car or train. Rates from $113 nightly. 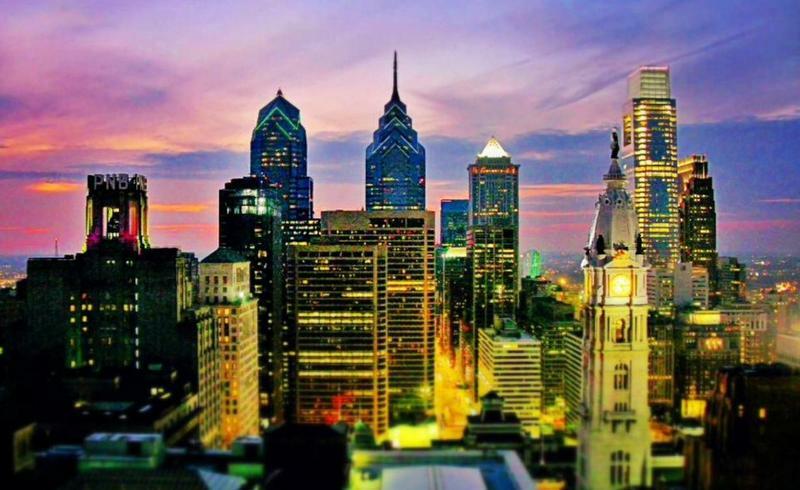 This is a Hipmunk City Love post featuring a few of Philadelphia’s best affordable, boutique hotels. Quite a good list of the hotels in Philadelphia. Alexander inn is one of the best hotel in Philadelphia.